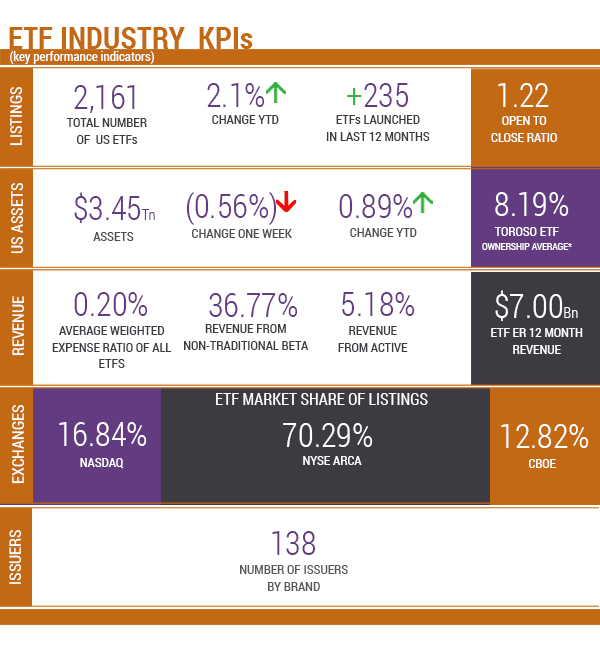 As we come to the end of a volatile 2018, the TETF.index research team continues to reflect on ETF growth and structures. Last week we reviewed the ETF wrapper and the enhanced tax efficiency. This week we look at the beginning of a multi year trend which will likely result in assets flowing from mutual funds to ETFs. The onslaught of capital gains distributions from mutual funds has begun. After years of market appreciation and inflows, many mutual funds have amassed huge amounts of stocks with cost basis from decades past. What happens if flows turn? Or, when you actually have to sell a position because the business is no longer viable? The trend of capital gains distributions from mutual funds with intra-year losses has just begun. The incumbency of mutual funds is being attacked by the inherent operational inefficiency that will force many funds to distribute taxable gains even years with statory losses. BlackRock, along with a few other firms, saw this and designed a tool allowing you to more easily search for capital gains. It is actually quite a slick function where you can drag and drop a portfolio and see how much you will be paying the government on gains you likely did not experience! 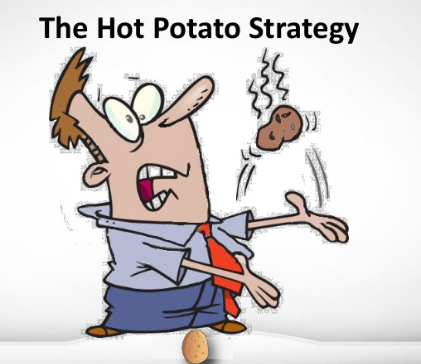 And all we’ll say to the mutual fund pure allocators is hot potato, hot potato! This is just the beginning. Some fund families manage capital gains better than others and some have unique advantages in that sense such as Vanguard. However, most are, shall we say, bloated! Taking a look at the top 10 funds based on assets from American Funds, you will see all but one are paying a capital gain. Their largest, the Growth Fund of America, is paying a 9.55% capital gain on a year where the fund is up 2.08%. Flow estimates show total outflows from this fund of $4 billion dollars, just 2.3% of the $177 billion dollar fund. Overall, these 10 funds equal $1.1 trillion dollars in value, and they are expected to pay out 4.59% (dollar weighted) in capital gains, for a grand total of $51 billion dollars. In addition, all but 3 are down on the year. What was even more shocking to see was that overall flow estimates for the group were slightly positive (0.07%), leaving us to ask, what would happen if they had 5% redemptions? Hot potato, hot potato! Tax efficiency is one of the client alignment growth factors sighted by the TETF.index team promoting further growth. The ten-year bull market has helped many mutual funds mask the inefficiency of their structure. Mutual funds still command four to five times the assets of ETFs, but we believe investors will find paying taxes on intra-year losses will likely entice more ETF growth and adoption. Assuming a mutual fund and an ETF are identical on strategy, holdings, fees, and time horizon, a taxable investor will likely have a better experience in an ETF simply from the structural advantages. Returns as of December 17, 2018. Inception Date: April 4, 2017. Index performance is for informational purposes only and does not represent the ETF. Past performance is NOT indicative of future results, which can vary. As of December 17, 2018. Source: Morningstar Direct.